You awake in a bar filled with individuals just like you who have come to the Sea of Thieves looking for adventure. You wipe your face of any excess grog and stare out into the ocean. It is time for your adventure to begin— lets get started. 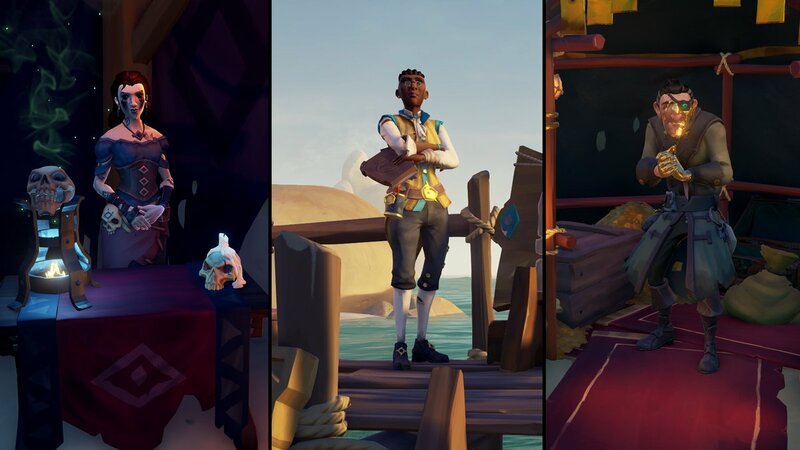 In order to progress in Sea of Thieves, you must go on voyages that require you to complete a set list of objectives, such as finding buried treasure, slaying hoards of monsters, or finding certain creatures. Before you even begin on your Voyage, you must first accept a quest with one of the three guilds at a trading outpost. These guilds include the Gold Hoarders, Order of Souls, and Merchant Alliance. Each guild will have a selection of quests to choose from, each with their own objectives and rewards. As you level up, you can buy harder quests for a sum of gold. These quests offer better rewards that can help you get more gold but increase with difficulty over time. 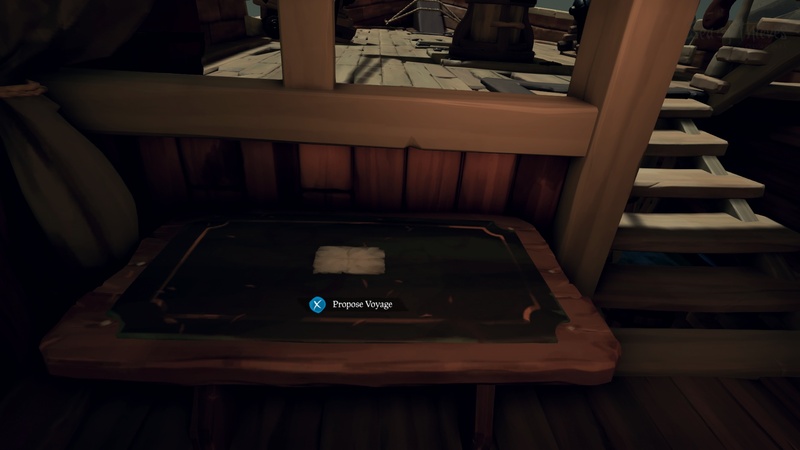 After choosing your quest, head back to your ship and head to either the Captain's Quarters (Frigate) or the area under the hull (Sloop) and find the quest table, which should be the table nearest the large map. You'll be asked to place a Voyage onto it. After choosing your Voyage, the crew will need to vote for the quest they want to do the most. The quest that gets the most votes will begin instantly. You'll then receive a map, or several maps depending on the quest, that will begin your Voyage for treasure, skulls, or loot. With all that done, it is finally time to set sail. Now, get out there pirates, your legend is about to begin!